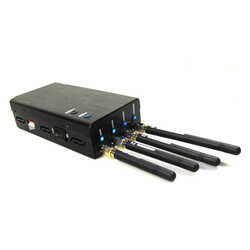 Manufacturer of a wide range of products which include mini cell phone signal jammer, video jammer, handheld signal jammer, mini portable gps jammer, mini portable wi fi jammer and car anti tracker gps jammer. 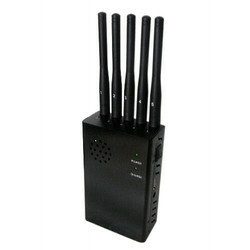 Our firm is one of the distinguished companies that offer a wide variety of Mini Cell Phone Signal Jammer. 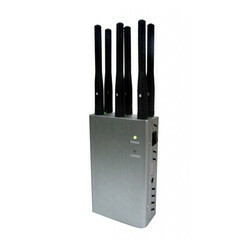 These signal jammers are highly valued for their high tensile strength and longer durability. The range of our products is offering at industry-leading prices in modified dimensions to our patrons. In addition, we are offering them in optimal grade packing. 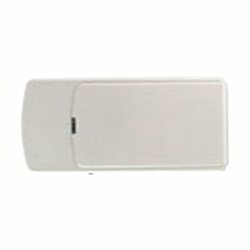 Model No – TM-10C Jamming Frequency CDMA - 850-894MHz, GSM- 930-960MHz, DCS/PHS - 1805-1990 MHz, 3G- 2100-2200 MHZ Radius Range - Up to 5-10 meters radius Built-in battery time : 90 minutes Chargers. Mains charger: 110/220 VAC input, 5VDC output. Car Charger 12 VDC input 5 VDC output. USB charger. 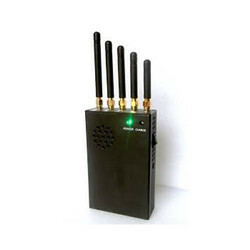 We have appeared as one of the most distinguished names in the industry betrothed in presenting an extensive assortment of Handheld Signal Jammer. Our range has earned gratitude from all around for their, reliability precise designing and efficiency. These jammers can be availed from us in different grades and dimensions suiting best with the needs and necessities of our valued patrons. Frequency range - Uplink:890—915MHZ Downlink 935-960MHz Gain (dB) - Uplink Gp≥50 Downlink Gp≥55 Export power (Po)- ≥17dBm Pass band ripple - ≤3dB I/O impedance - 50Ω/N connector Noise figure - ≤4dB Transmission Delay- ≤0.5μs Power supply - AC110V-240V 45 55Hz coverage area - 200m2. 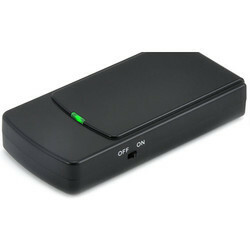 Being one of the principal companies, we are betrothed in presenting an inclusive assortment of Mini Portable GPS Jammer. The offered jammer is fabricated and developed by knowledgeable personnel by making use of finest-grade material and progressive technology to make sure its quality. We offer this jammer in different sizes and specifications as per the requirements of our prestigious patrons. Model No – TM-10G Jamming Frequency – GPS- 1500-1600MHz ( GPS L1 ), 1200-1300MHz (GPS L2 ) Radius Range - Up to 5-10 meters radius Built-in battery time : 90 minutes Chargers. Mains charger: 110/220VAC input, 5VDC output. Car Charger 12VDC input 5VDC output. USB charger. 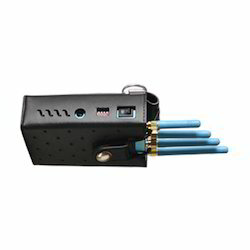 We are reckoned amid some of the most noticeable names in the industry affianced in offering our valued patrons with a comprehensive plethora of Mini Portable Wi Fi Jammer. 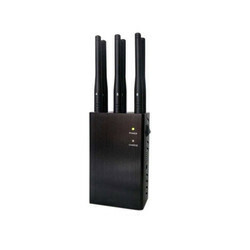 Our jammers are recognized for their high efficiency, better connectivity and many other merits. These jammers are easy to maintain and use. In addition to this, we are offering them in standard as well as modified forms. 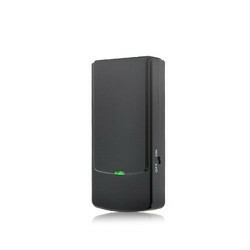 Model No – TM-10W Jamming Frequency range – Wi-Fi - 2400-2500 MHz Radius Range - Up to 5-10 meters radius Built-in battery time : 90 minutes Chargers. Mains charger: 110/220 VAC input, 5VDC output. Car Charger 12 VDC input 5 VDC output. USB charger. Jamming Frequency range – Wi-FI - 2400-2500Mhz , CDMA - 850-894MHz, GSM- 930-960MHz, DCS/PHS - 1805-1990MHz, 3G- 2100-2200MHZ Radius range – 5 -20mtr. Power supply: AC110-240V 12V Built-in Battery:1800mA/h Total output Power: 2.7-3watt Built-in battery time : 1 hour Net Weight: 0.275Kg. Jamming Frequency range – CDMA - 850-894MHz, GSM- 930-960MHz, DCS/PHS - 1805-1990MHz, 3G- 2100-2200MHZ Radius range – 5 -20mtr. Power supply: AC110-240V 12V Built-in Battery:1800mA/h Total output Power: 2.7-3watt Built-in battery time : 1 hour Net Weight: 0.275Kg. Jamming Frequency range – GPSL1 - 1500-1600 MHz, GPSL2 - 1220-1230 MHz, GPSL3 - 1200- 210 mhz, GPSL4 - 1250-1280mhz, GPSL5- 1170-1180mzh. Radius range – 5 -15mtr. Power supply: AC110-240V 12V Built-in Battery:1800mA/h Total output Power: 2 watts Built-in battery time : 1 hour Net Weight: 0.275Kg. 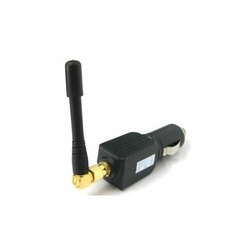 Jamming Frequency range – 1.G - 1000-1100 MHz, 1.2G - 1100-1300 MHz, 2.4G - 2400-2500MHz Radius range – 5 -25mtr. Power supply: AC110-240V 12V Built-in Battery:1800mA/h Total output Power: 2.7-3watt Built-in battery time : 1 hour Net Weight: 0.275Kg. 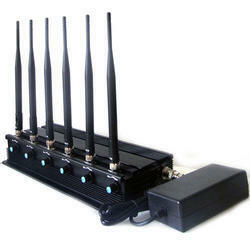 Looking for Mobile Signal Jammer ?